This website was recently completed in late 2016 and you can view it live below at the following address http://www.theaustralianwoolstore.com. If your looking for an e-commerce website and branding please contact us and see how we can help you. To create a brand design and have a positive web presence to support a e-commerce solution to suit new business objectives, vision and strategy. 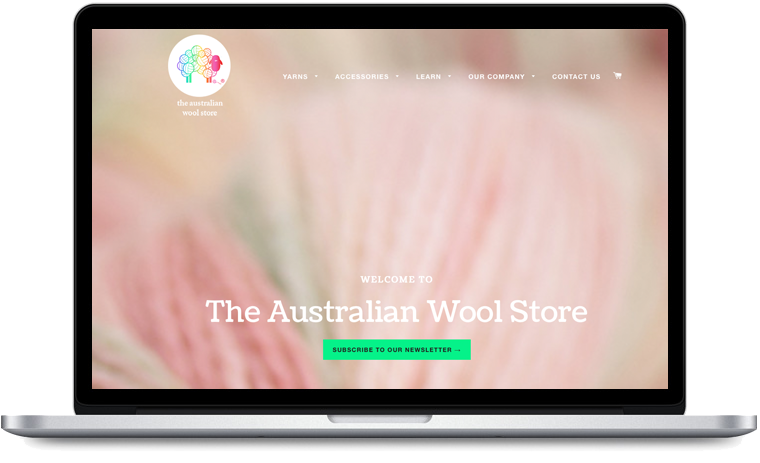 It was essential to bring the The Australian Wool Store brand to life and convey the right personality and message through the website and it’s branding. Our approach was to create a bold and creative e-commerce website whilst still remaining aligned with the companies vision and strategy. We focused on highlighting the product “Australian Wool and Wool Blends” as the main focus point throughout the website as well as their branding through a strong visual logo. We launched The Australian Wool Store website in late 2016 and since it’s release it has had great positive feedback from the company and success. This entry was posted in Branding, E-Commerce, Graphic Design, Marketing, Recognition, Web Design, Web Development and tagged E-Commerce, Web Design, Web Development, Wollongong E-Commerce, Wollongong Email Marketing, Wollongong Marketing on June 12, 2017 by admin. 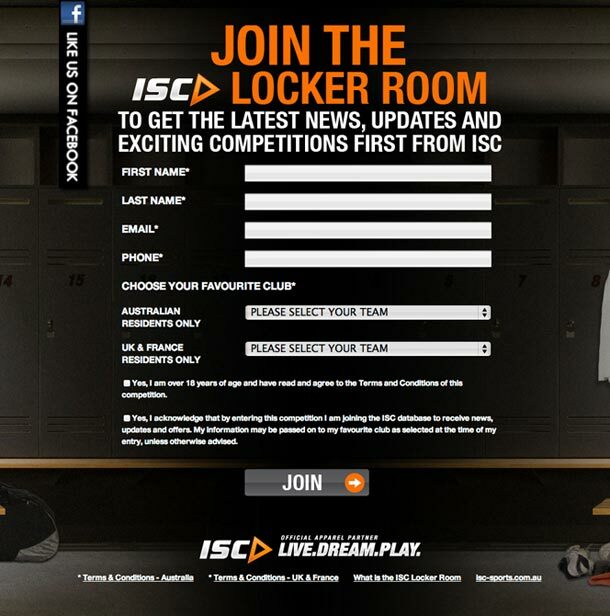 ISC has launched the ISC Locker Room in 2012 with a bang, offering fans of their favourite teams a great range of give aways and the latest information on their teams and ISC. Piixel Designs was asked to assist with the development of the website and management of competition entries registered through the website and their relating customer database. We provided a solution which seamlessly integrated all requirements directly into the website providing ISC with a hassel free management of their customers and entries. Through the same system we have also integrated the ability to directly contact their customers with completely branded EDMs. To check out the ISC Locker Room and support your favourite team then visit them at the ISC Locker Room or like the ISC Locker Room on Facebook. This entry was posted in Case Studies, CRM Management, EDM Solutions, General, Web Development on July 29, 2012 by admin. CSS Based – Loves our CSS! Today we got the confirmation that CSS Based loves our CSS! This is something that we are very proud of as we like to maintain the highest quality and usability specifications on all websites we develop and design. This entry was posted in General, Recognition, Web Design, Web Development on July 2, 2010 by admin. This will allow web designers to finally break free from the restraints of the “Web Safe Fonts” with more flexibility. Basically for your browsers such as Safari and Firefox you can use any TrueType Font or OpenType Font and for all the IE users out there don’t fret there is something to cover you guys as well! IE Users must use the .eot font format for Internet Explorer to render these fonts. Please note: The actual font files are required to be uploaded to your server. Also please take into account that you will need to check licensing agreements on your fonts to see if your allowed to embed the fonts. This entry was posted in Web Design, Web Development on December 18, 2009 by admin. Copyright © 2019 Piixel Designs.